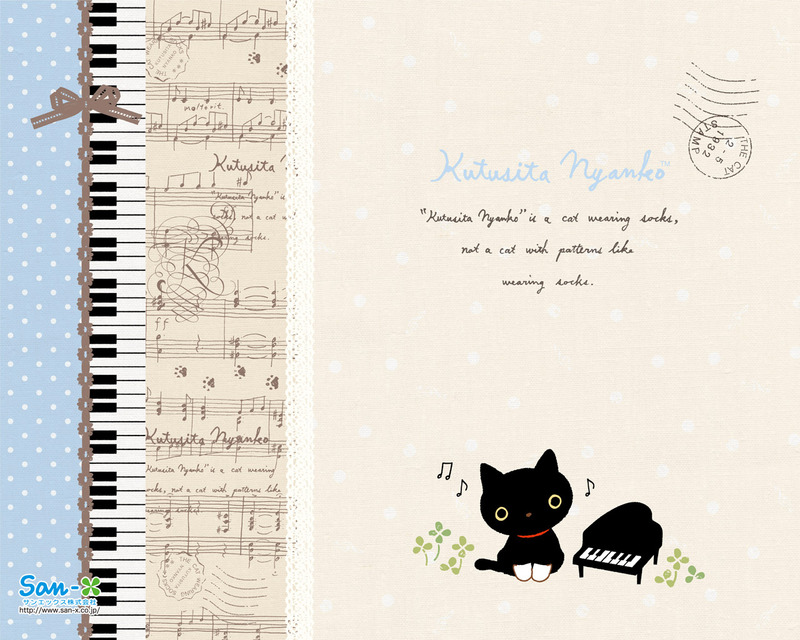 Enojy decorating your pictures with cute Kutusita Nyanko stamps. Kutusita Nyanko is sad about moving and leaving his friends, poor cat…. Kutusita Nyanko is a cat wearing socks, not a cat with patterns like wearing socks. Then why he is wearing socks all the time? It is the funniest version of LINE stamps that Kutusita Nyanko (black cat) is falling in love with the white cat while the brown cat is the destroyer. How will Kutusita’s love go? Wallpaper with the cute kittens who like music! Super cute Kutusita Nyanko Charm, made with care and love out of polymer clay. LINE stamps of Kutusita Nyanko cats launched after Rilakkuma and Mamegoma! So many cats! So many Kutusita Nyanko!